It is the late 1850s and a tired woman holding a baby walks from Hull to one of the big houses in Anlaby – the home of the wealthy Rayners. She knocks at the door, and shoves the baby at young James Rayner. The father was ‘young Mr Rayner’, and the mother is dead. Then she vanishes. The respectable shipping family of Hull are shattered. 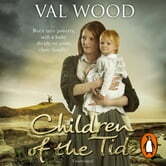 No one wants to take responsibility for the baby and it is about to be put into an orphanage when Sammi, James’s cousin, decides to take the baby back to her parents’ home on the Holderness coast. James is banished to London, and disaster begins to beset the three branches of the Rayners. The third novel in The Hungry Tide sequence, this epic, many-faceted story of three related families tells the triumphs and tragedies of their lives, as the whaling industry of Hull begins to decline, and the farmlands and homes continue to slip into the sea.